Picture it, Uppsala 1968! Fifty years ago, in July 1968, the nascent World Council of Churches (WCC) held its fourth Assembly in Sweden. Under the heading, Behold, I make all things new (Revelation 21:5), this Assembly was riding the wave of Vatican II, welcoming Catholic observers for the first time and gathering 235 churches, the highest number of members at that time, with 702 delegates. In January, we commemorated the 50th anniversary of Martin Luther King Jr.’s assassination; less noted though, July of this year marked the 50th anniversary of the WCC’s Assembly in Uppsala. Not the same impact one could easily explain; however, there is a deep-running thread between these two events. On July 7, 1968, James Baldwin spoke to the WCC’s Assembly about racism, social justice, and Christian responsibility. Martin Luther King Jr. had been scheduled to deliver the sermon at the Assembly’s worship; after his assassination, the WCC invited James Baldwin instead. 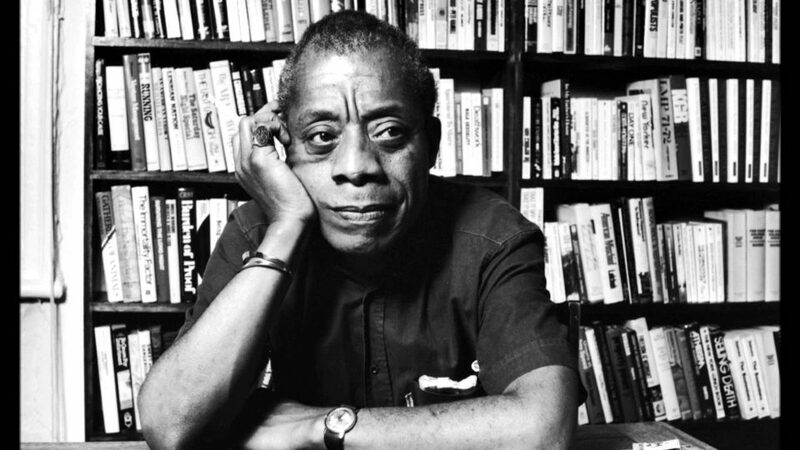 Since Baldwin was not a preacher, but a novelist, his speech took place during one of the sessions. A Christianity which has lost its vertical dimension has lost its salt, and it is not only insipid but useless for the world; but a Christianity which would use the vertical dimension as means to escape from its responsibility in the common life of man is a denial of the incarnation of God’s love for the world manifested in Christ. Christianity still has the power to move the world if it will. It still has the power to change the structure of South Africa, to prevent the assassination of another Martin Luther King, to force my country to stop dropping bombs on southeast Asia. The Assembly benefited for the first time from an extensive media coverage, hosting approximately 700 journalists and staging an open-air televised worship. This media coverage gave a huge momentum to the Assembly’s message, in ways that were then totally new. I came across Baldwin’s speech at the WCC’s 4th Assembly by chance. I didn’t know anything about this history of the WCC and how prophetic its voice had been in a time of turmoil and violence everywhere. I am deeply admirative and grateful for it! To those who haven’t heard much about the WCC, I always describe it as the United Nations of the churches. But I know that the U.N. doesn’t have the best rating in the U.S. and the comparison may actually undermine the prophetic and powerful work that the WCC has done since its very inception in 1948: for 70 years now, it has put forth, incessantly, a renewed vision of the world. Last June, the WCC celebrated its 70th anniversary and welcomed Pope Francis at its headquarters in Geneva, an enduring sign of Christian unity in a new time of turmoil! Christianity still has the power to move the world if it will… Does it? Or are we sold to other powers? Where is our prophetic voice? Sometimes individuals are scared or isolated and cannot resist by themselves; part of the church’s responsibility in its struggle for justice, I believe, is to provide a safe space for the most vulnerable and a voice for the voiceless; and an international entity makes it stronger. Where is our Christian vision, beyond divisions, for a future that welcomes everyone and loudly denounces injustice? How will you ask your church to incarnate it?